Found in sandy places to 3500', creosote bush scrub, Joshua tree woodland, sand dunes. 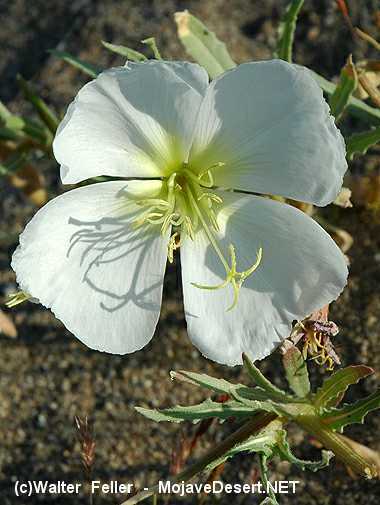 The flowers are showy, large white flowers that turn pinkish with age. Blossoms open in the evening and last through midmorning. Best areas: Holtville, Algones Dunes, south of Hwy. 80 between Calexico and Ocotillo. Dominant Species: desert lilies, evening primrose, lupine, phacelia.